What a stupid decision! The value here is showing respect for one’s teacher. 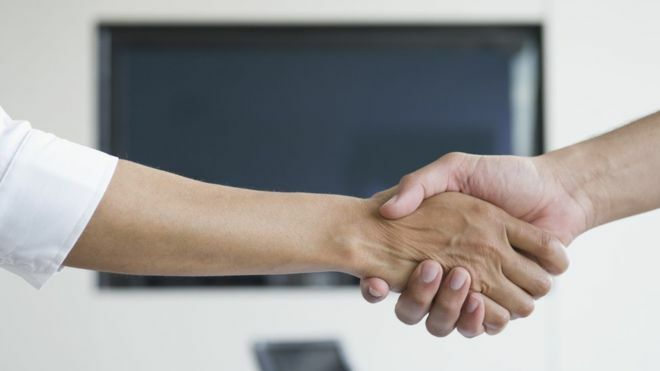 Shaking hands is one way of expressing that respect for the interlocutor. But there are so many ways of expressing this value of respect, such as touching one’s heart and slightly bowing like many Muslims do, or bowing a bit more like the Japanese do. Why did the regional authority not embrace the present diversity of Swiss society and ask the children how they would choose to express their respect? Then, this show of respect for the own tradition of the children – who aren’t offending any law by refusing to shake hands – would have earned their respect in return and make their salute the expression of true respect for the teacher. The consequence of the current decision is either that these children will leave public school altogether and enroll in a private school if the parents can afford it, or will shake hands against their convictions, not putting their heart into it. In both cases, respect for the public school teacher is lost and that bit of integration is compromised. Lack of recognition of diversity leads to dire results in terms of integration. Integration is a two-way street: both the migrant and the host society must adapt. And this does not mean that the values are changing, only that the means of expressing them may change over time, as they do change with the simple passing of generations. To read the full article on BBC News, please click here.